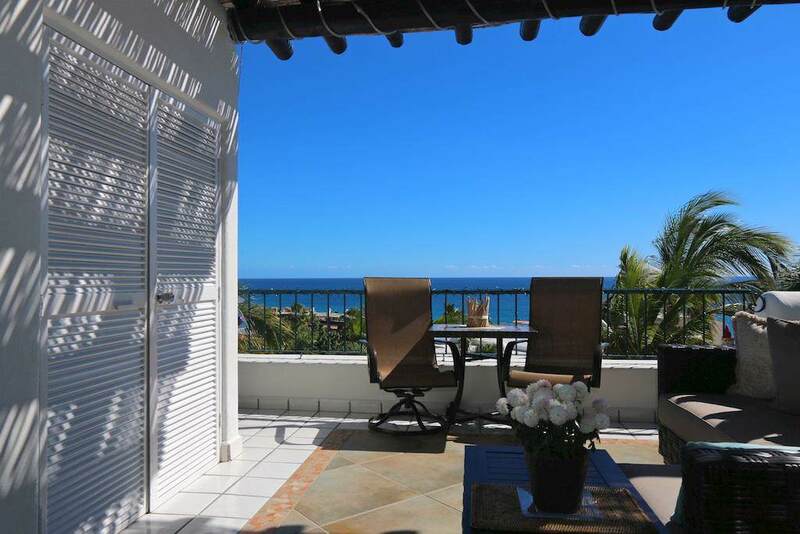 OCEAN VIEWS FOREVER from this LOMAS DE LA JOLLA -2BD/1BA condo with new renovations & furnishings. 1st floor with master bdrm, 2nd bdrm loft. Kitchen has granite counter tops and glass tile backsplash. Pocket sliding door opens the indoors for the best of outdoor living. Custom shade pergula with woven palo arco, comfortable living areas perfect for lounging & entertaining. Brand new custom hurricane shutters. Large storage closet with washer & dryer. 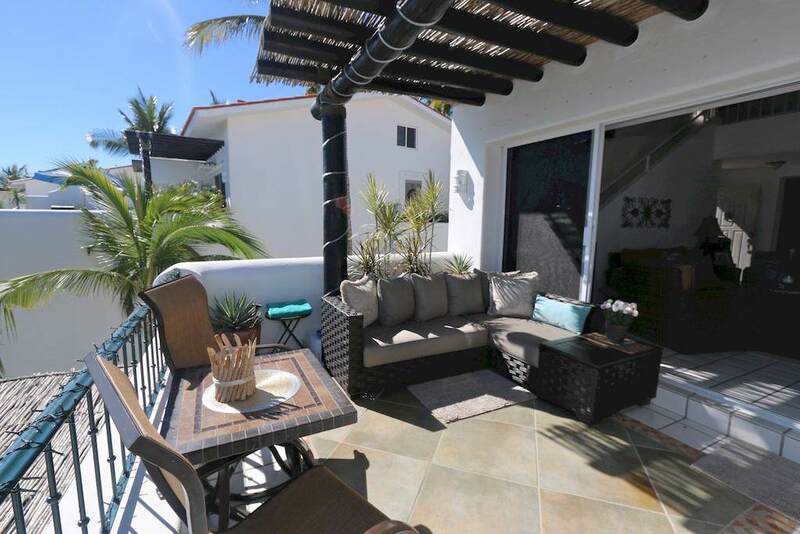 All owners enjoy the infinity pool, lush landscaped grounds, 24 hours security. Within the La Jolla Residential neighborhood. Close to all amenities. 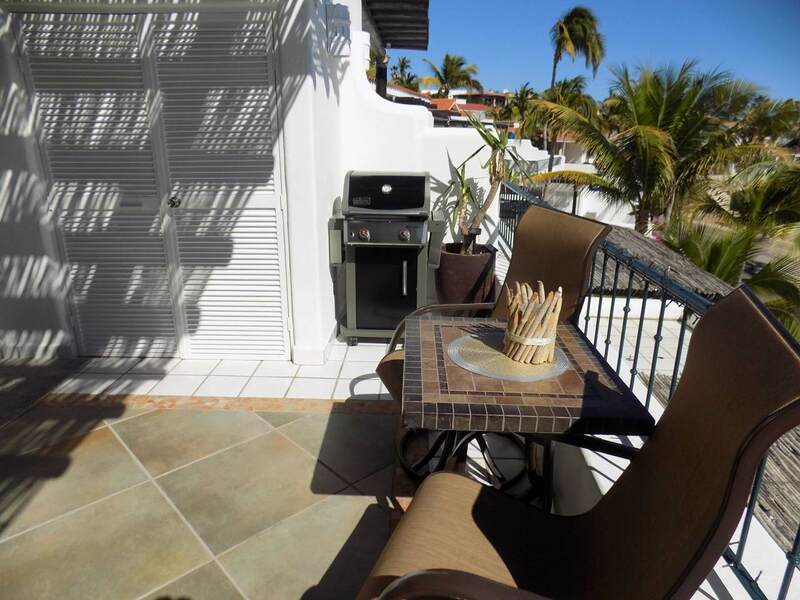 Walking distance to the beach and restaurants. 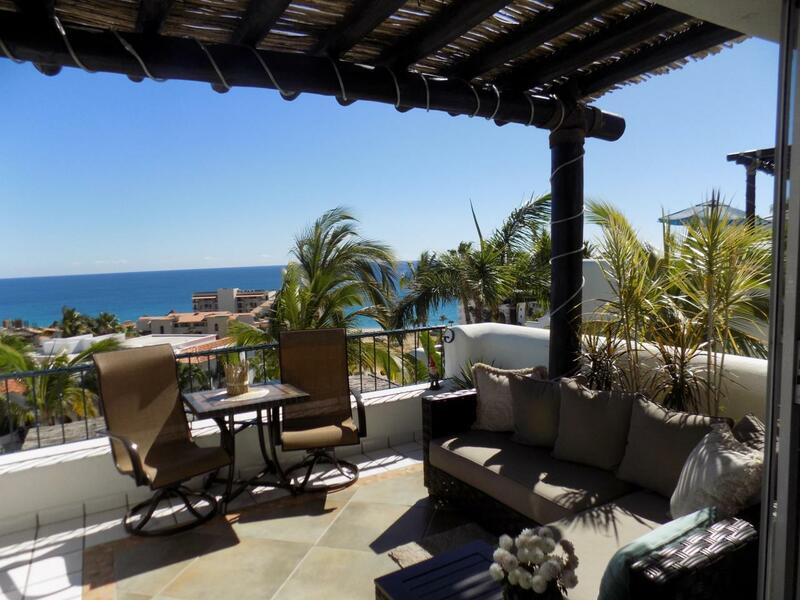 Short drive to historic San Jose del Cabo, the airport and the marina. Great place to retire or vacation!